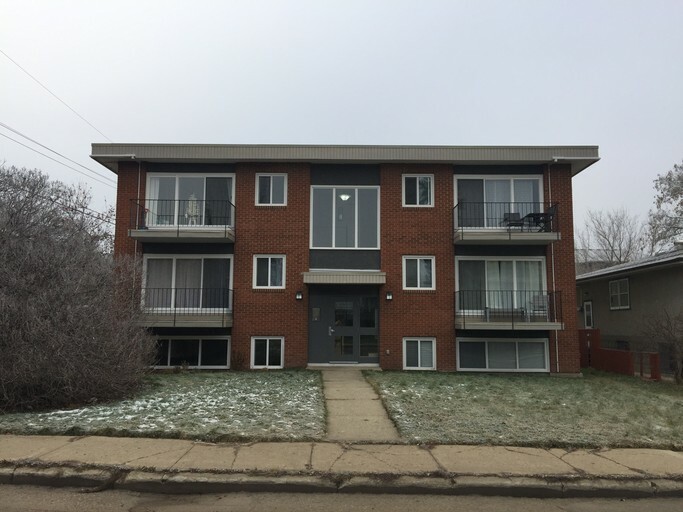 The beautiful 11 unit building named 85 Greystone is located perfectly blocks from both the River Valley and the Intersection of Whyte Ave and Calgary Trail. That means both the U of A and Grant Macewan Universities are close by! The updated unit features stunning dark laminate flooring throughout, an energized parking stall and even its own in suite laundry! Plus a lockable caged storage unit! The gorgeous kitchen is complete with dark cabinets, matching counters and a spectacular tile back splash, not to mention the stainless steel appliances including fridge, stove, microwave and even a dishwasher! Completed with a spacious dining room area and massive living room that lead onto the balcony, meaning those glass sliding doors fill the whole space with natural light. The patio even comes with a small furniture set! The bedroom is large and has a full closet, and black out blinds, keeping the room dark at any hour! The update bathroom is sure to impress with large mirror, beautiful sink cabinet and tub shower! Don't miss out on this perfect unit! Call today to book a viewing!